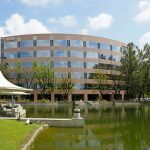 National Asset Services (NAS), one of the Country’s leading commercial real estate companies, successfully revitalized another Class-A commercial property in financial distress with greater marketability created for TIC office property in time for sale by ownership ahead of a maturing loan. NAS assumed asset management responsibility for 300 Four Falls, a 298,371 square-foot, Class-A office property in February 2014. Company executives directed a swift and aggressive plan of action to increase revenue while reducing operating expenses with cost effective maintenance and prudent capital expenditures. In less than two years, occupancy increased to 98% and net operating income increased 16%, establishing an enhanced market position for sale of the property. Under NAS’ leadership, additional space leased in 2014 and 2015 totaled 27,559 square feet, just over 9% of the building’s leasable square footage. The additional leasing filled space vacant since the 31-member TIC group acquired the property in 2005. During the same two-year period, NAS and the new property management company CBRE|Fameco, successfully increased tenant renewals by raising tenant approval from extreme dissatisfaction, experienced under prior administration, to support of the management team. In less than two years, occupancy increased to 98% and net operating income increased 16%, establishing an enhanced market position for sale of 300 Four Falls. Built in 2003, 300 Four Falls consists of seven stories constructed atop a six-story parking garage and offers over 400 feet of frontage along the Schuylkill Expressway. The building is within one-half mile of Schuylkill Expressway and Interstate 476 interchange.